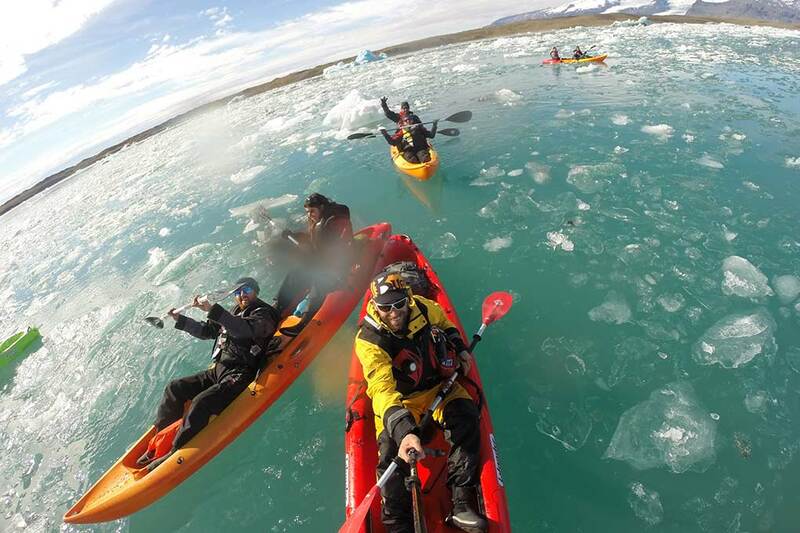 Weave in and out of a glacier lagoon sapphire icebergs & hike on a glacier! This wonderful day-tour combines two of our most popular attractions into one incredible package. 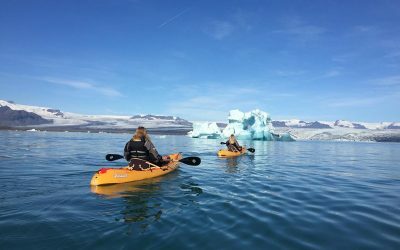 Kayak amongst the icebergs in the world famous Jokulsarlon Glacier Lagoon and join a glacier hike on Vatnajokull, Europe’s largest Glacier. 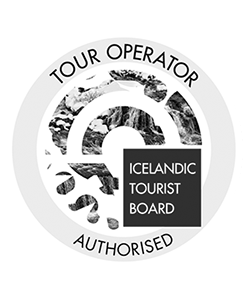 If you want to have fun, see some natural wonders and make the absolute most of your time in Iceland, then this is the tour for you! You’ll meet us on location in the Jokulsarlon Glacier Lagoon parking lot, so we can go over the order of the day and answer any questions that you have. 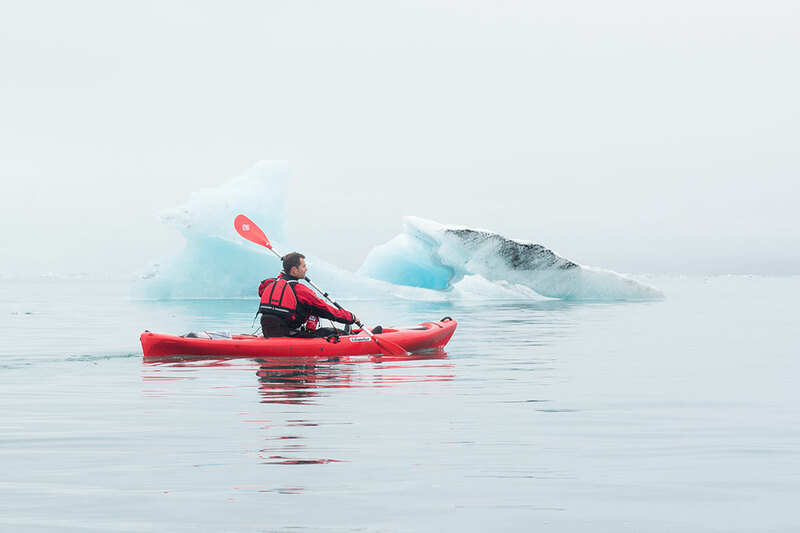 Then, it’s straight to Jokulsarlon – where a qualified kayaking guide will give a quick paddling demonstration and make sure the less experienced members of the group are totally comfortable. We’ll launch the kayaks and begin our 1-hour paddling session. Jokulsarlon is unquestionably the most beautiful body of water in the entire of Iceland. 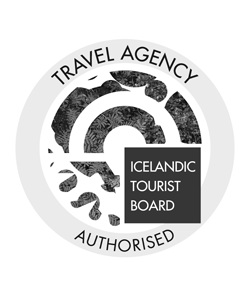 It sits in the shadow of the retreating Breidamerkurjokull Glacier and is dotted with a series of majestic icebergs that have broken away from the main glacier. Many of these floating wonders, glide out into the open ocean, glimmering like exquisite sapphires on the crystal-clear lagoon. 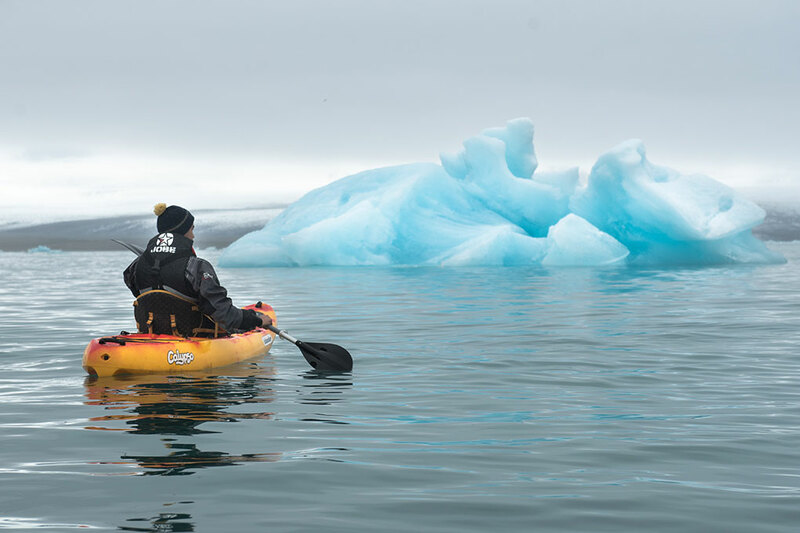 The kayaks allow us to get really close to the icebergs and see the dazzling hues of blue and white in all their glory. Jokulsarlon is also home to a wide selection of wildlife and we often see seals basking on the icebergs and seabirds soaring overhead. While, the glacial peaks of Vatnajokull, the largest glacier in Europe, and Breidamerkurjokull punctuate the horizon. Make sure that you bring a camera because we promise you will want to remember Jokulsarlon forever! 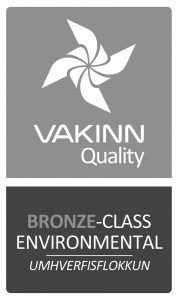 The entire kayaking tour will be in the company of professional guides who will keep you safe and tell you more about the fabulous things you’re seeing. 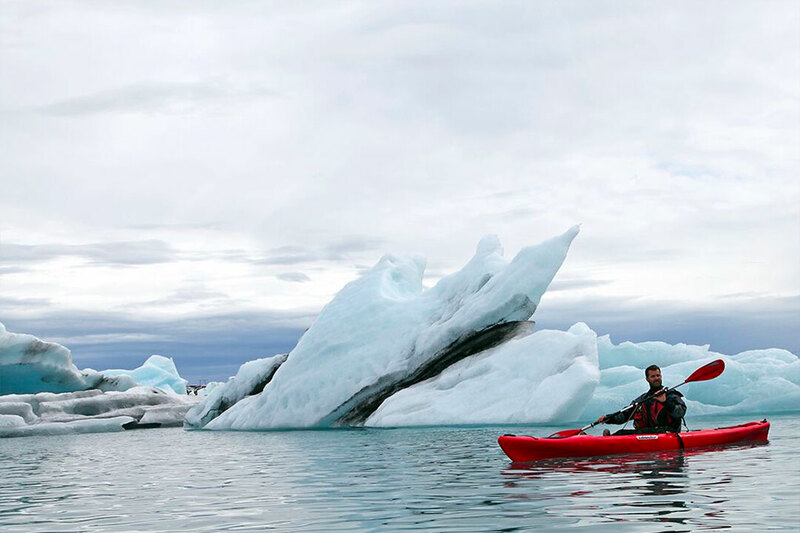 So, whether you’re new to kayaking or a seasoned pro – don’t miss the chance to explore the most beautiful glacier lagoon that you will ever see! 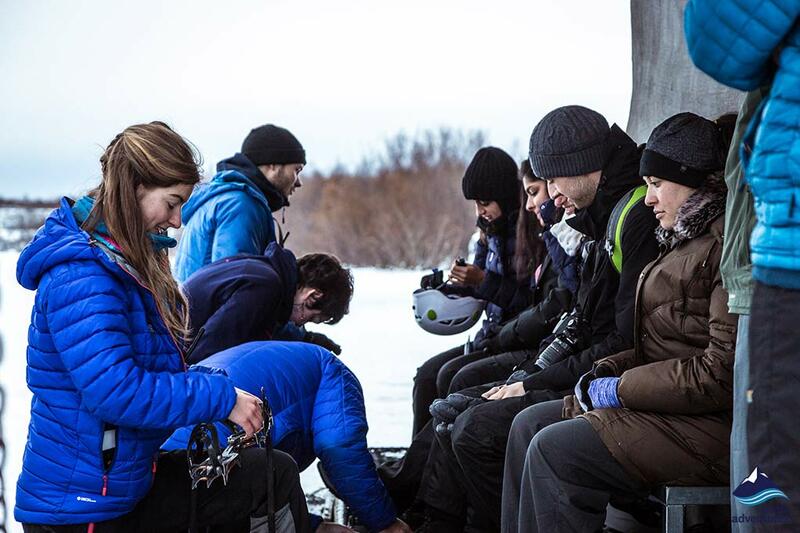 We’ll all meet at the Arctic Adventures Base Camp, located at the Skaftafell Parking Lot to get kitted out and discuss our upcoming adventure. Then, we’ll make the short drive to where our glacier hike begins. 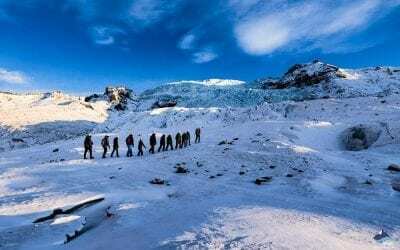 We’ll be walking on Falljokull – also known as the falling glacier. It lies to the south of Vatnajökull, which is Europe’s largest glacier. We will be rewarded with breathtaking views of Vatnajokull and Iceland’s highest peak Hvannadalshnokur. You’ll also get a profound insight into the remarkable glacial landscape. 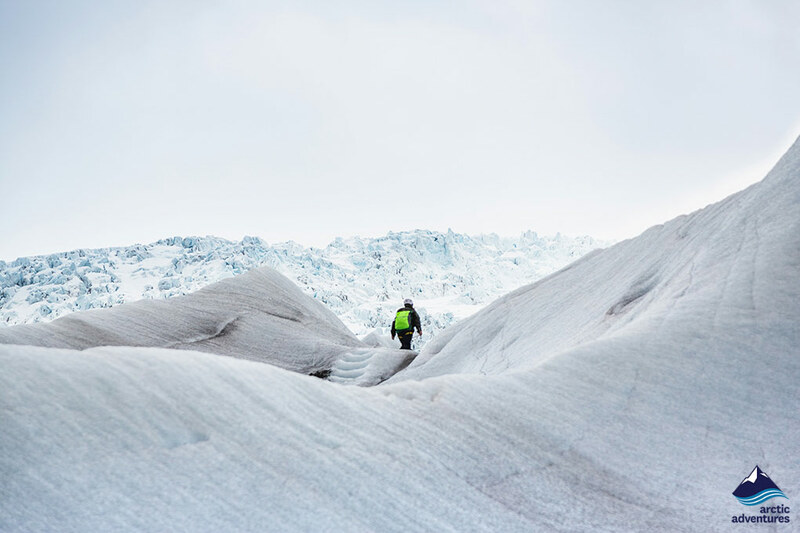 You’ll see rugged crevasses alongside deep moulins, which bore deep into the icy unknown and frozen ice falls that create exquisite patterns and wonderful photo opportunities. 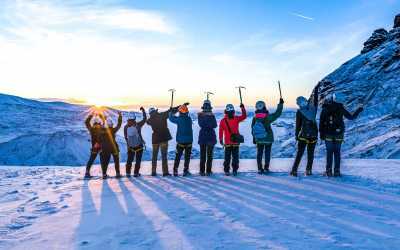 The professional guide will take you to some magical places that offer stunning panoramic views of the surrounding glaciers, like Virkisjokull which unfurls like an icy tongue all the way down to the sea. They’ll also tell you more about glaciers and explain how the natural phenomenons are formed. 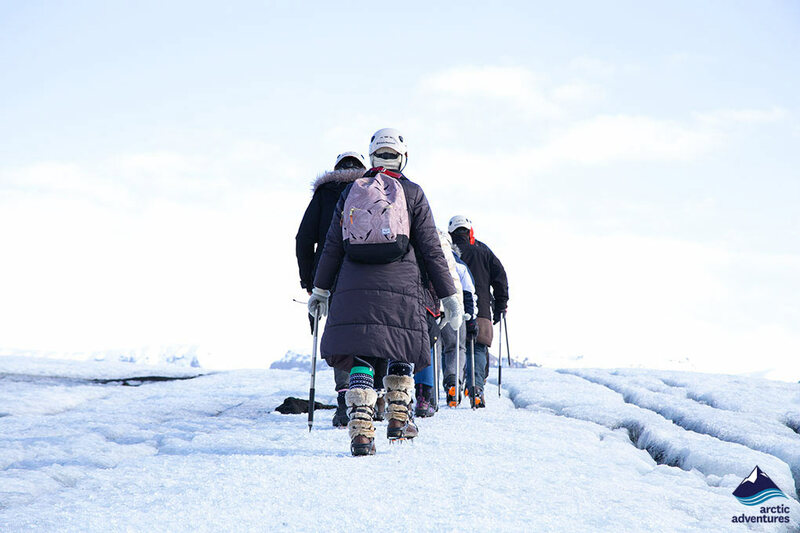 If you want fun, education and natural beauty, then a glacier hike is an absolute must! 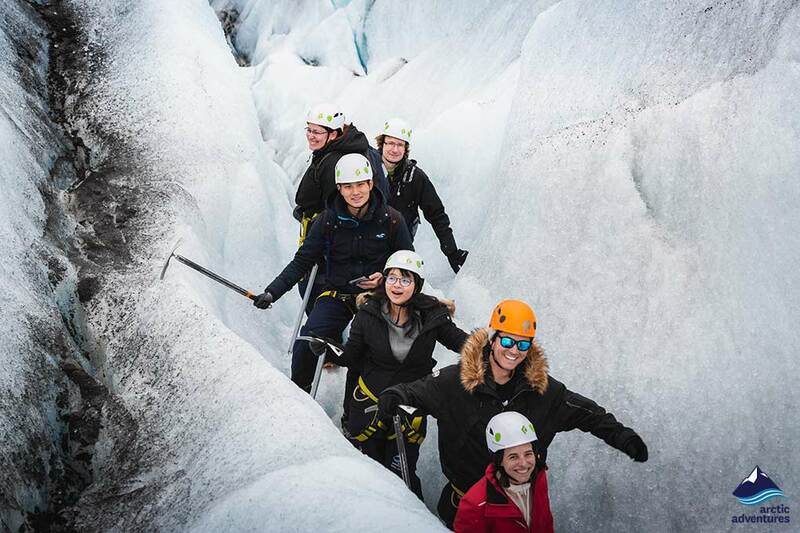 You can start the tour at Jokulsarlon or Skaftafell, depending on which route will fit your schedule. You can choose between the two variations in the booking widget. 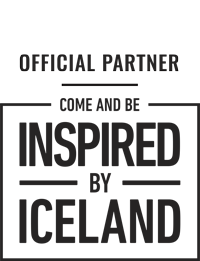 Upon booking you will receive a confirmation voucher that includes important information such as your meeting points and meeting times.